The 2013 Sage Insights Survey on Donor Loyalty is now available. The study conducted by Sage Nonprofit Solutions has some very interesting findings that are sure to bring value to any nonprofit organization.Having had the pleasure of being a contributor to the study I was overwhelmed by the number of participants. Loyalty continues to be a key theme for nonprofits and a driving force for development professionals. Ironically, the study found that 67% of the people surveyed are not surveying their own donors. I find it hard to believe that organizations, especially growing ones can reach their full potential without asking how they can get better and what they are doing well. For me, surveying is always the thing I recommend an organization start with. Donor/member feedback, should serve as your guiding light. I was delighted to find that hand written thank-you notes reigned as the king of loyalty. I have said it before and I will say it again, the value of a hand written thank-you cannot be over exaggerated. 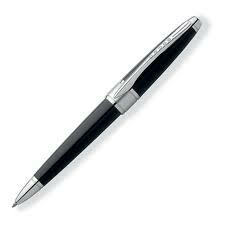 The study goes on to share examples of what organizations are and aren’t doing today to ensure loyalty, and for those of you that were wondering, the most utilized give-away was none other than the classic pen. My guess is the low-cost and practicality make it the big winner. In reviewing the study, I was most shocked to find 29% of nonprofits are doing nothing when a donor lapses. This is good and bad news. Great news for those of us looking for new donors and bad news for those of us failing to follow-up. Overall, the study reveals numerous interesting facts and ideas for how your organization can insure that loyalty is a driving force. Take-away: Check out the full survey, and see what your organization can do to improve loyalty. 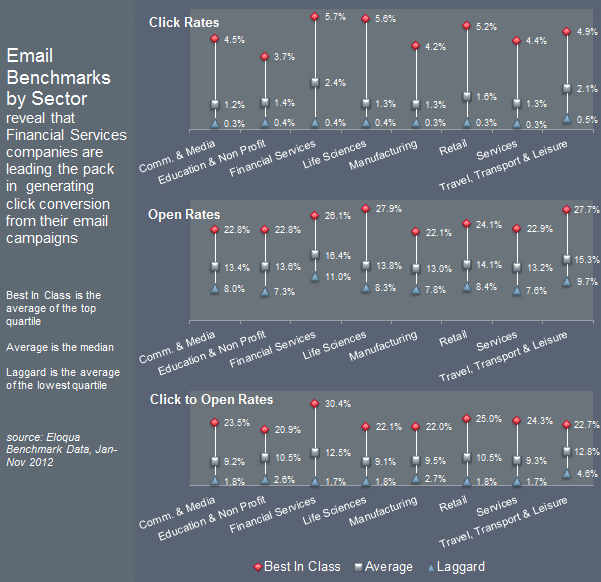 I often get this question: How do we know if our email program is good or bad? The answer varies for everyone, but Eloqua’s Benchmark study is a great place to start. They recently compared their benchmark data from Jan.-Nov. in an effort to provide you with some guides for click rates, open rates, and click to open rates. The results can be seen here, and they even separated Nonprofit out. Take-away: Check your rates and see how you stack up against the Best in Class. National Philanthropy Day was first established in 1986. The celebration is dedicated to those who give tier time, talents, and treasure for the betterment of society. Today, I had the pleasure of attending the Austin Chapter of AFP’s celebration. I was moved by the speeches and touched by the amazing work that is happening in our community. Brett Barnes is the Development Director of Lifeworks, a favorite customer of ours. His speech today was charming, funny, and kind all at the same time. His Mom’s advice to him, “Leave the world a better place than when you entered it.” I ❤ that! My favorite award of the day, the philanthropic youth award! I am always amazed and touched by what these winners have done. The winner this year started giving back at 13, and as a high school student today, he has founded and runs an insanely successful nonprofit. His speech, love for his mother, and respect for his educators was remarkable. I can’t wait to see who Brody Roush becomes…maybe President of this great country. Take-away: I am in awe of the amazing work being conducted by these amazing people. I hope you enjoy this amazing day and find inspiration to keep doing what you do. Thank you! Developing a solid donor base is not something that happens overnight. It takes time to cultivate a database of constituents who support your mission time and time again, and recommend your organization to others. Many factors are at play in the development of true loyalty, engagement and trust. How your organization utilizes its resources, the impact of your programs and your ability to communicate effectively with donors all factor into the equation and can significantly impact your organization’s ability to earn lasting loyalty. With the goal of providing you proven, effective methods of increasing donor loyalty, I asked a sample of development professionals for their ideas on this topic. I received dozens of great responses, so thank you to those who provided feedback. Building an effective program takes time and effort. Here are a few ideas to help you foster the one thing we all desire most, retention. Find out what will compel them to further help you achieve your mission. Ask for their advice, and put it to practice. Communication is key to building any relationship, and nonprofit relationships are no different. Think about newsletters, e-mails and face-to-face visits to keep the flow of information open. “In general, donors like to receive regular, measurable and concrete feedback about how their money makes a difference,” says Ursula Pfahl, vice president of business development at Bigham Jewelers , who worked with CMON — The Golisano Children’s Museum of Naples . By sharing the impact in real measures, you solidify the good work you are doing. Use your board members to make calls and write thank-you notes. The power of appreciation from a strong board member can go a long way in building loyalty. Create connections in the social networks where your donors spend their time. Connecting socially is very powerful. According to the 2012 Sage Nonprofit Insights study , 84 percent of nonprofits are in social networks, with Facebook topping the charts. Surprisingly, 69 percent of participants say their organizations are not blogging. Blogging is a great way to keep donors up to date on the status of the organization. Additionally, through social sharing in tools like Facebook and Twitter , nonprofits can further engage donors and volunteers with those same updates. “Bottom line: Loyalty comes when we show folks we know them. This means we have to really listen to them. There’s no cookie-cutter approach, as donor preferences vary. We have to be sensitive to our donors’ particular styles, then give them what they want,” says marketing and fundraising consultant Claire Axelrad . “Whether your organization is new or has been around for years, you can recognize continuous yearly donors in your annual report. Give recognition to donors who have supported you (at a set level) for three years, five years, 10 years — break it down however it works for you — but with recognition, if they have to drop a nonprofit one year, hopefully it won’t be yours!” says CFRE Debbie Joyner. “One easy element is thanking donors for every gift either with a phone call or personalized e-mail. When dealing with loyal donors, I am always sure to mention how long they have been giving and let them know how much their continued support is appreciated. Most donors haven’t thought about how long they have been giving, and I think these small gestures have deepened donor relations with a pretty small investment of my time and our long-distance bill,” says Daniel Blakemore, assistant director for individual giving at International House, New York . Take-away: Loyalty, retention and engagement seem to be harder to come by these days — probably because we all seem to be running the race faster and faster. True loyalty takes time, effort and commitment to yield fundraising success, but the return is happier donors with a strong commitment to your organization.